If your vehicle needs automotive paint and refinishing – we’ve got you covered. Our technicians are well versed with top-notch color paint matching with Axalta’s color formula retrieval system, ColorNet®. ColorNet®, allows our certified technicians to search an extensive database of color formulas from our technically advanced computer systems. This user-friendly software platform is designed to make color formula retrieval and reporting quick and easy with accurate results each and every time. 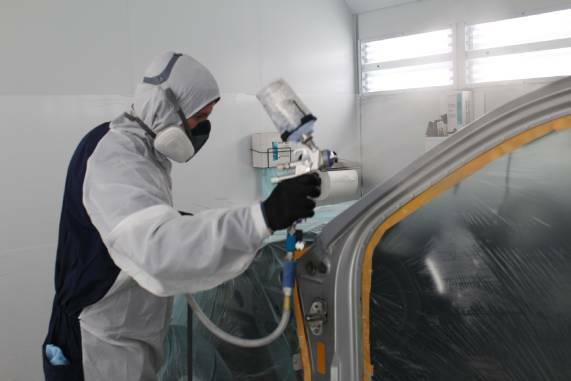 We use Standox waterbourne modern car paint products that are environmentally-friendly and achieve optimum quality leaving you satisfied with your automotive paint and refinishing needs. We are so confident in our workmanship, not only will you walk away with a positive auto collision repair experience, the work is also backed by a Lifetime Warranty for as long as you own the vehicle.